My baby took a nap on Sunday afternoon, so I had a chance to prep seven crockpot recipes for the freezer. After traveling for a month it felt so good to be back in my kitchen. I was sick of eating out so much and tired of feeling overwhelmed in general. It only took me an hour to make all seven meals and now I feel like I’m ahead for once. Yay! 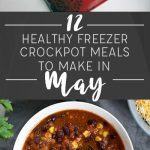 These are our favorite crockpot freezer meals of all-time!!! 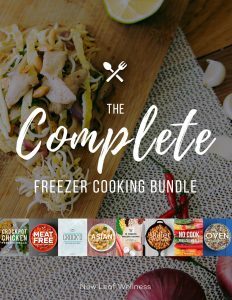 I usually pick new recipes for my freezer prep sessions, but this time I used our favorite recipes from my Complete Freezer Cooking Bundle and I’m so excited about them. 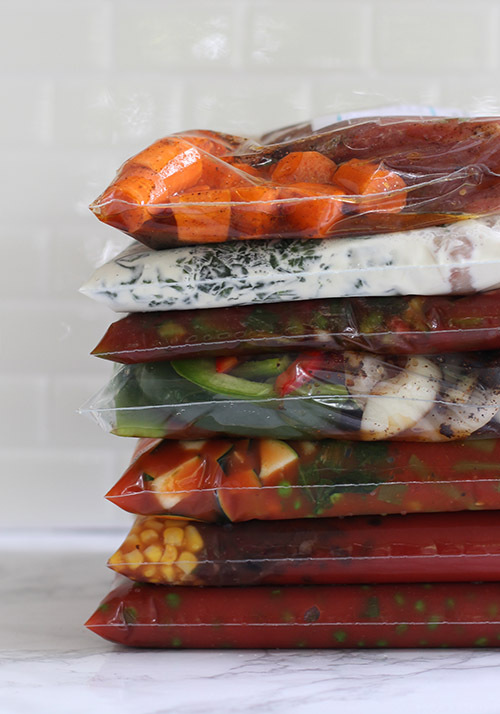 These are literally the most delicious, amazing, healthy recipes I’ve ever frozen for my crockpot (and that’s saying a lot because I’ve spent FORTY-THREE Sundays making freezer meals over the past two years!!). 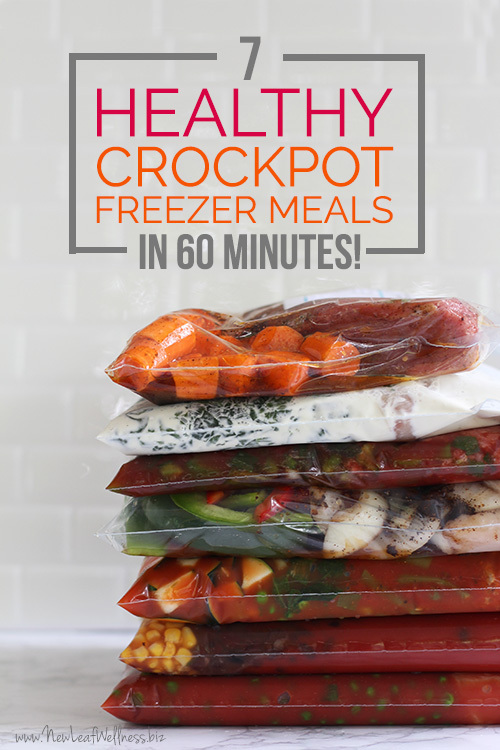 I’ve made these specific crockpot freezer recipes SO MANY TIMES over the years. They’re delicious and fool-proof, and I’m 99.9% positive that you’ll love them too. This would be a great group of meals to make before the busy back-to-school season. I get out all of the ingredients and put them on my kitchen counter, except for the meat – which I leave in the fridge until the last-minute. I start by chopping all of the fresh veggies and putting them in the bottoms of the bags. 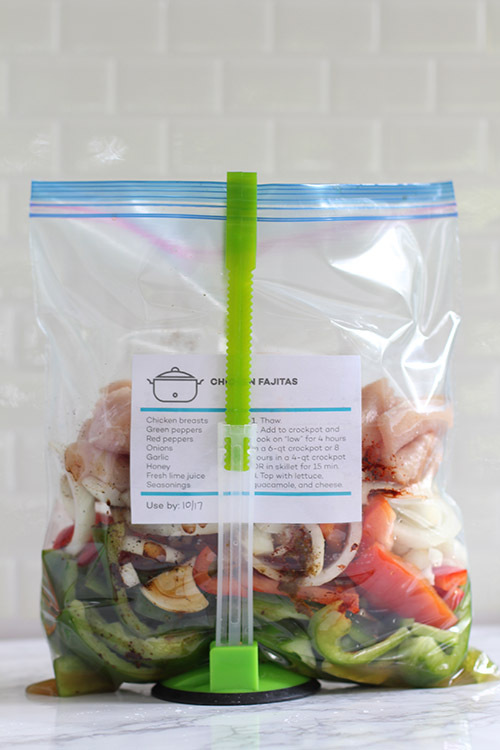 Then I focus on one recipe at a time, adding its canned goods and spices in the middle of the bag so they won’t get lost when I dump the meal into the crockpot. I add the meat to the tops of the bags (so it’s the first ingredient dumped into the crockpot), seal the bags, and stack them in the freezer. So easy! 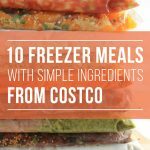 Most freezer meals will last at least three months in the freezer but we eat ours right away. To eat: Thaw overnight in the refrigerator or in the morning in water. 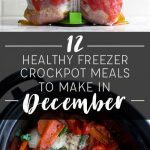 Add to the crockpot and cook for 4-6 hours in a 6-quart crockpot (this one is my favorite) or 8-10 hours in a 4-quart crockpot. Serve with a side of rice or fresh bread and dinner is done. I own it and like it. It takes at least 8 hours to cook the food, maybe more. I will givit a try. I love how organized your recipes are, you may have saved me this coming fall & winter. I will let you know how I make out. thank you! Elizabeth, We hope that you love them and that they make your life easier. Please let us know what you think! Hi! Love your recipes! I just tried the Alfredo but it seems to have “broke” and is more liquid-y/oily than standard Alfredo. Any fix suggestions? You could try thickening the sauce in a pan on the stovetop. I have a feeling it’s probably just because it was made in the crockpot. We often serve our meals with a slotted spoon. Hope it still tasted great! Hey Erin! 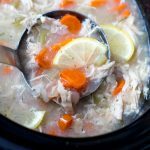 I have had this issue with dairy products in the past with the crockpot as well – dairy just doesn’t hold up that well in the crock pot. Adding the dairy products at the end of the cooking session, instead of at the beginning seems to fix the problem for me, and just let it warm for 30 minutes or so. The chicken will create enough juice to cook on its own, but you can add a little bit of chicken broth in the beginning if you’re worried about that. I hope it works for you!